Catholic Medical Center is a licensed 330-bed, full-service health care facility dedicated to providing health, healing and hope to all. CMC offers innovative, quality medical-surgical care with more than 25 subspecialties, inpatient and outpatient services, diagnostic imaging and a 24-hour emergency department. Ours is a compassionate environment built on trust and respect. 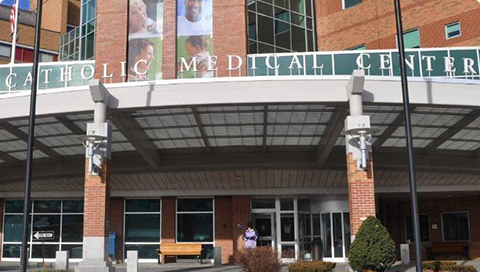 Our main campus consists of the hospital at 100 McGregor Street, several outpatient and specialty practices in the Notre Dame Pavilion at 88 McGregor Street, and our wellness, education, and administrative departments at 195 McGregor Street. We also have primary care and specialty locations throughout the greater Manchester area. Learn more about CMC's locations.